How To Cancel Amazon Prime Membership/Subscription (India/USA) With Refund – It doesn’t matter if you belong to India or USA in case, this guide will teach you in a step by step manner about How To Cancel Amazon Prime Membership/Subscription (India/USA) With Refund. Following this, you’re kindly requested to please don’t miss any of the below mentioned steps. Thus, today I will show you how to do it on both the Amazon app and the Amazon website. Let’s first begin with the Mobile Android/ iOS application. Open the Amazon mobile app. Once the app is open, tap on the menu button on the top left. Then tap on Your Account button. On the account page, tap on the Prime Membership. On the Prime Page, scroll down until you see the button saying do not continue, tap that. Now scroll to the bottom and choose I do not want my benefit. Now on the next page, scroll down and tap end my membership. And, now finally tap on Cancel my membership. Your membership will now be cancelled, but you can still use Prime until your current billing period has ended. This is how you do it on the website as well. Go to the Amazon web page, log in to your account. Click on your account button and choose your Prime Membership from the drop down list. On the left sidebar, click on Do Not Continue button. Click on I do not want my benefits and then proceed with the same steps as mentioned above for the website. So, this is enough for the steps you needed to follow to cancel your Amazon Prime Membership. Now, please check these – 10 Amazon Prime Benefits You Might Not Be Using. 1: Same day or One Day Delivery – In addition to the free two day shipping option, Amazon offers to its Prime Members in selected areas. You can now get free Same Day or One Day Shipping on selected orders over 35$. If the order is under 35 I member pay only 5.99$ per order. A full list of the program terms and details are on the Amazon Site. 2: Lending Library – Kindle owners lending library prime members can borrow one book from the Kindle owners lending library each calendar mug this benefit is not available for all Prime Members. As it is only available on the Kindle e-Readers Fire Tablets and Fire Phones. If you have one of these devices, you have access to hundreds of thousands of titles with no due dates. 3: Kindle firs – Here is a prime perk that most of you can take advantage of as it only requires that you have the Kindle reading app installed on your device. It’s not exclusive to devices that are owned by Amazon. The Kindle first programme allows Prime Members to rent one free ebook a month. Before that book’s original release date, Kindle first is great, if you want early access to popular books. 4: Twitch Prime – As many of you gamers know, Twitch is a popular live-streaming video platform, which is a subsidiary of Amazon. As an Amazon Prime member, with twitch Prime, you can get big savings on games and accessories which also includes advanced access to lightning deals. 5: Prime Photos – Many of you are aware that as a prime member that you can get unlimited photo storage in the Amazon Cloud, there is also an option of less expensive photo prints, calendars and even cards delivered to you through photo storage by using the Amazon Prints. 6: Digital Credits – There may be times when you are not in a rush to have your order delivered to you. We know this sounds crazy, we usually want our purchases as quickly as possible. If you have the patience, you can select the no rush shipping option and most often you can get credit on your account in this. For example, if I choose the free no rush shipping option, I can get a 5 dollar reward for the prime pantry, which is their benefit that offers groceries and other household products in everyday package sizes. If you choose the no rest shipping option frequently, those rewards can add up quickly. 7: Amazon prime Card – Amazon Prime Store Card as an Amazon Prime Member you can also sign up for the Amazon prime store card. If approved, you can earn 5 per cent back on anything you purchase from Amazon. I am not an advocate of running up the credit card debt. But if you are someone who pays off your balance each month, this can save you a lot of money. 8. Prime Music – A lot of you are aware of and are using Prime video, but some of you may not be aware that Amazon has a music service called prime music. That’s included with your membership. It has about 2 million ad free and on-demand songs. It has a curated playlist. Or you can create your own playlist as well. It also offers offline playback with unlimited skips. It doesn’t have the selection that music services like Spotify Add. But, at least you don’t have to spend any extra money to use. 9. Audible Channels – Audible, which is owned by Amazon, offers Prime members free access to audible channels. Audible channels have a rotating selection of on-demand podcasts in several categories which include talk shows, news, comedy shows and many more. Another benefit within audible for Prime Members is the ability to access a streaming version of audible audiobooks to access either of the audible services, you must download the audible app on Android iOS Windows 10 or on your fire device. 10: Prime Reading – Last but not least, Prime reading, it works a lot like Netflix, you get an unlimited reading of books magazines and comics in several categories. It also includes books with audible narration. Prime reading is free for Prime members with the Kindle App on iOS and Android. There are even more Prime benefits that you can take advantage of with Amazon that was not mentioned in this guide of ALLTECHBUZZ media. 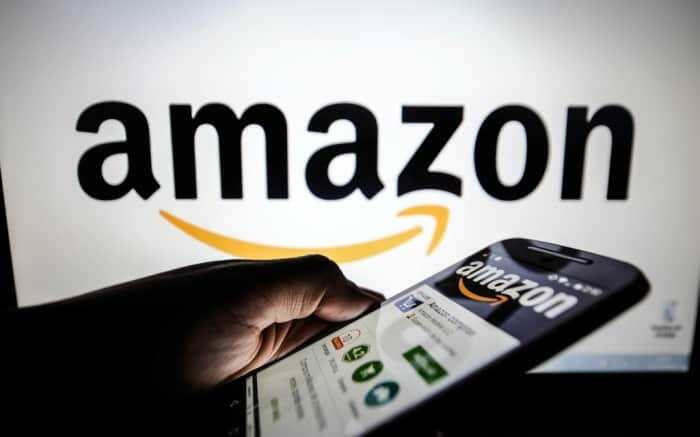 Hopefully, with the end of this guide, all your major queries related to How To cancel Amazon Prime Membership India, cancelling amazon prime on the app, cancelling amazon prime free trial 2019, managing prime membership, cancelling amazon prime video and amazon prime login etc. will be successfully answered. Also, in the comment box below, please let us know about your expertise views on Is the $99 Amazon Prime Membership Really Worth It For Millennials? But, still in case you’re left with any query regarding How To Cancel Amazon Prime Membership/Subscription (India/USA) With Refund, please let us know in the comment box below.